The music book is at the printer (MediaCom), the completed CD's only need covers, but All Together All Right is not quite ready to launch. I’d hoped it would be out in February, but now it may be in March, but probably in April. Sometimes quite a few things need to fall into place before a project is underway. So, a little more about songs in this seventh All Together collection. 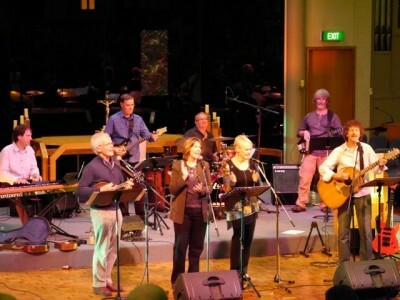 At the ‘Songwrite’ conference in Canberra in February 2013, I heard quite a few new songs, several of which are in ATAR. One is ‘Spirit of Dreaming’ by Alison Campbell Rate. ‘Spirit of dreaming, come, make of your people one. Spirit of truth, enter our dreaming now’. The song has a lovely floating quality, musically doing what the lyrics suggest.